Forty miles south of Miami, Havana was a tropical paradise fueled by rum, rumba and gangsters. Havana was visited by the most celebrated Hollywood stars, top Mafia bosses, presidents and politicians, it was a city of glitzy casinos, luxurious clubs, exotic dancing girls and endless nights. Havana was at the crossroads of the Mafia controlled narcotic super-highway before the Cuban Revolution took down the corrupt, Batiste government. Until 1959 the close political and economic relations between Cuba and the United States were strongly reflected in the commercial and cultural life of the city. 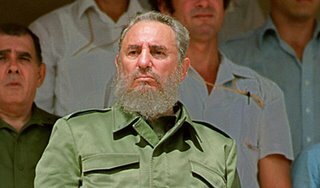 If Castro and his Cuban communist compadres had not thrown the corrupt Batiste government and Mafia out of Havana in 1958, the Mob would have had no need to develop Las Vegas as the ultimate City of Sin. Godfathers of Havana exposes a network of extraordinary corruption and the formation of a brutal criminal state on America's doorstep.